It's sure to promote healthy and exciting fun for boys and girls of all ages, especially ideal for jumpers aged 5 years and older. It features a metal frame covered in precision-made foam, replaceable non-slip foot pads, easy-grip handles to help you stay in control. 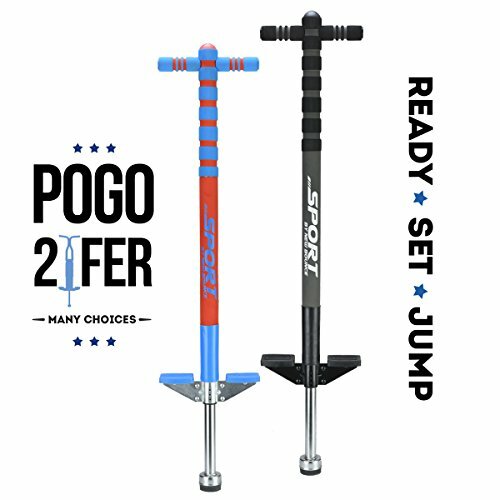 ► SHOW OFF YOUR TRICKS: Pogo stick features stable, non-slip foot pegs to help riders do tricks with ease!